Honored Kid Madelyn was diagnosed with DIPG in 2010. A fashionista with a big spirit and an equally big heart, Maddy was an inspiration to those around her. She passed away in November 2011 after an 18-month battle with DIPG. No child has ever survived a diffuse intrinsic pontine glioma brain tumor, commonly called DIPG. This aggressive pediatric brain cancer multiplies in the brainstem, which controls some of our most basic functions for living – our breathing, heart rate, blood pressure and ability to swallow and speak. And because the cancer is so intertwined with its delicate surroundings, DIPG is often inoperable. A DIPG diagnosis and a zero percent survival rate has remained the reality for kids and families for decades. But what if there might be hope? What if that hope came from within the child’s own body? The Dream Team is Back — Thanks to You! That was one of our expert advisers talking about the amazing, incredibly fast and impactful work of the Stand Up to Cancer – St. Baldrick’s Pediatric Cancer Dream Team, funded jointly by the two organizations from 2013 through 2017. It was such a perfect description, it has stuck with me for more than a year. This team of 150 researchers from eight institutions across North America has been working on new immunotherapy treatments for childhood cancers. In less than four years, their work is already saving lives. 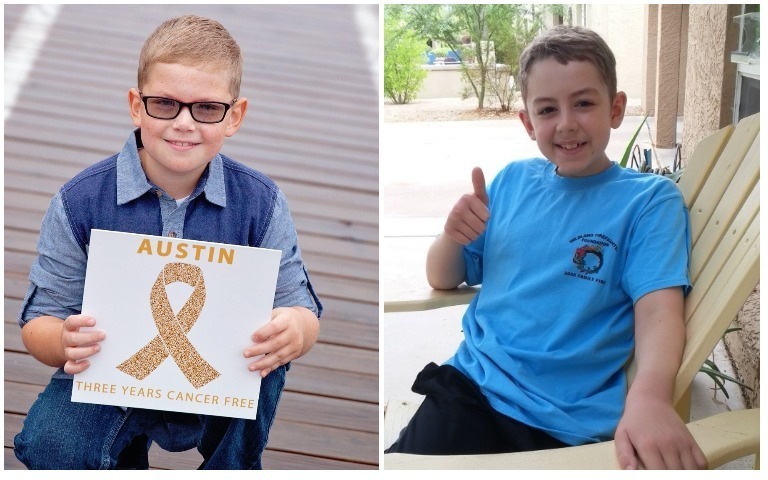 Honored Kid Austin was diagnosed with a high-risk form of acute lymphoblastic leukemia when he was 2 years old. Now a survivor, he was one of the first kids treated on a trial of the immunotherapy Kymriah, which was developed with help from the Dream Team. Every one of the experts who had looked closely at the team’s work agreed that this was work that must continue. To me, it was only natural for St. Baldrick’s to make that happen. And by St. Baldrick’s, I mean you – our donors and volunteers who make the funding possible. So, I’m thrilled to announce that the Dream Team is back – with a new name and a continuing determination to find cures for childhood cancers. 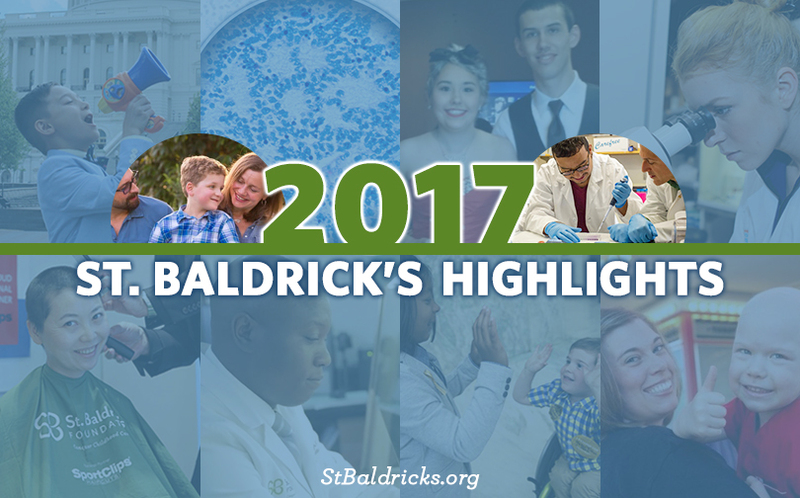 The St. Baldrick’s – Stand Up to Cancer Pediatric Cancer Dream Team will continue from 2018 through 2022, with primary support from St. Baldrick’s. From its inaugural Phase 1 clinical trial through its successful Phase 2 trial, we have traced the path of Kymriah, a recent immunotherapy and gene therapy breakthrough for kids with high-risk leukemia and few options, like Honored Kids Austin and Ori. (Read the whole series here.) Now, with a historic decision made in August, we are at the end of our story, but not at the end of the story of Kymriah. Instead, Kymriah’s is just beginning – and starting a new chapter of hope for kids with cancer. Austin (left) and Ori (right) are both alive today thanks to Kymriah and their participation in the Phase 1 and Phase 2 trials. On August 30, 2017, big news rippled through the childhood cancer community. On that late summer day – before the start of Childhood Cancer Awareness Month – the FDA made a historic move that changed the landscape of childhood cancer research forever. Over a series of four blogs — catch up with parts one and two about the Phase 1 trial — we are tracing the path of Kymriah, a recent immunotherapy and gene therapy breakthrough for kids with high-risk leukemia, like Honored Kid Ori. After relapsing for the second time and with his cancer spreading to his nervous system, Ori’s best chance at life was a Phase 2 trial of this experimental CAR T cell therapy. With a sunny attitude and staggering strength of spirit, Ori gave this new treatment a shot – with astonishing results. Ori was in cancer treatment for much of his young life and throughout the journey, his strength and positive attitude have been remarkable. 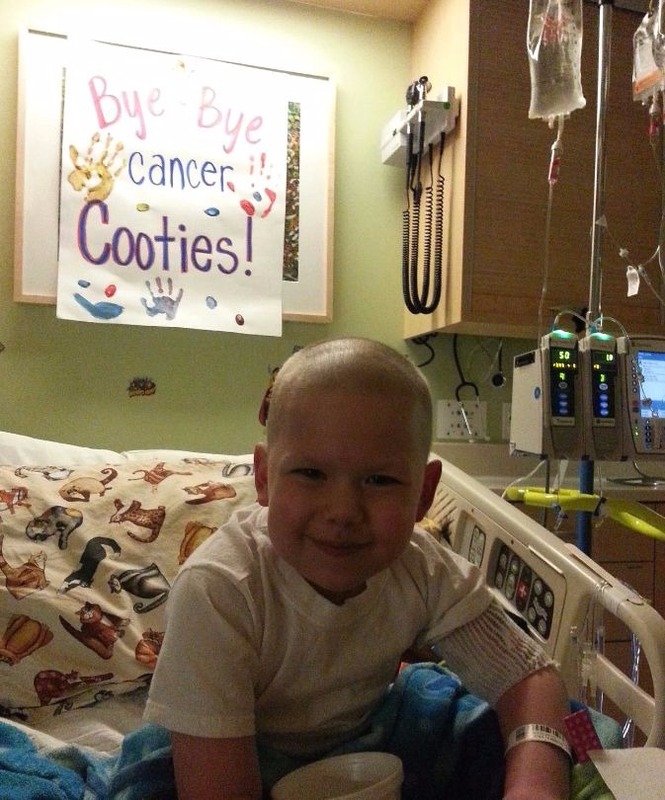 “He has been through so much, but has done it all with a great attitude and a smile on his face,” said his mom, Kaye. 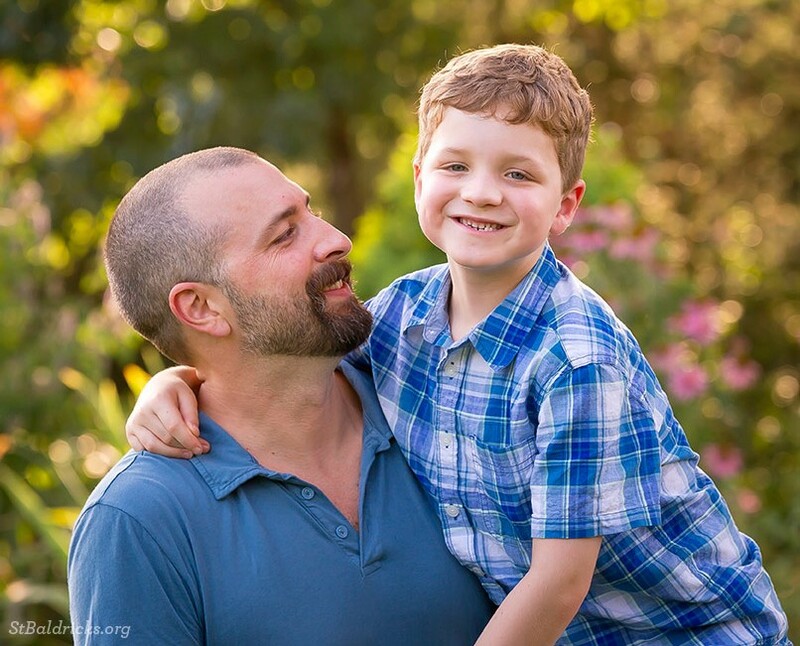 When a child with cancer relapses the first time, their treatment options shrink. But when a child with cancer relapses again, their options and chances at survival don’t just shrink – they’re nearly extinguished. That is what happened to Ori. 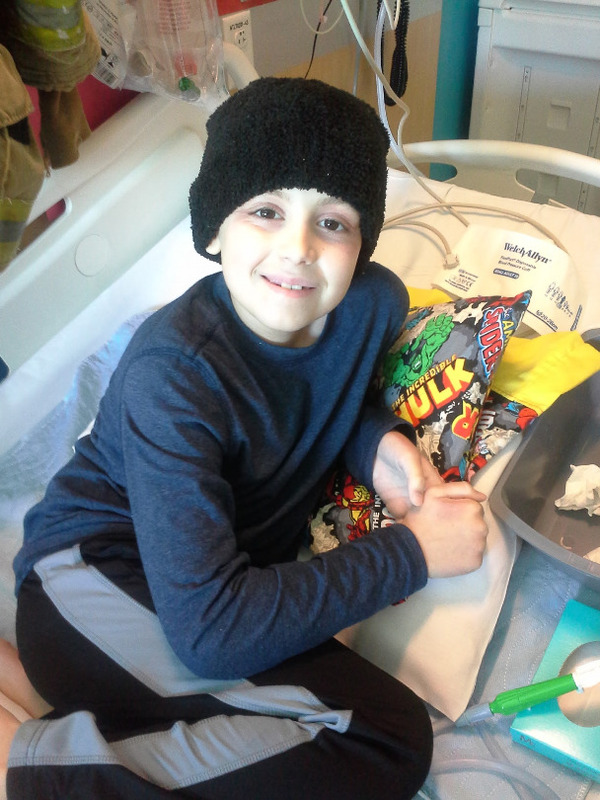 Over a series of four blogs — read the first blog here — we are tracing the path of Kymriah, a recent immunotherapy and gene therapy breakthrough for kids with high-risk leukemia, like Honored Kid Austin. This 9-year-old pioneer was one of the first patients to receive this revolutionary type of CAR T cell therapy, which was made possible because of the hard work of the St. Baldrick’s – Stand Up To Cancer Dream Team. Continuing from Part One, Austin’s bone marrow transplant has failed and we find his parents at a dead end in terms of treatment options — until a ray of light appears. During his treatment, Austin always just wanted to be a kid. After finishing a chemotherapy and radiation treatment, he’d often joyfully run out to his backyard to play on the swings. 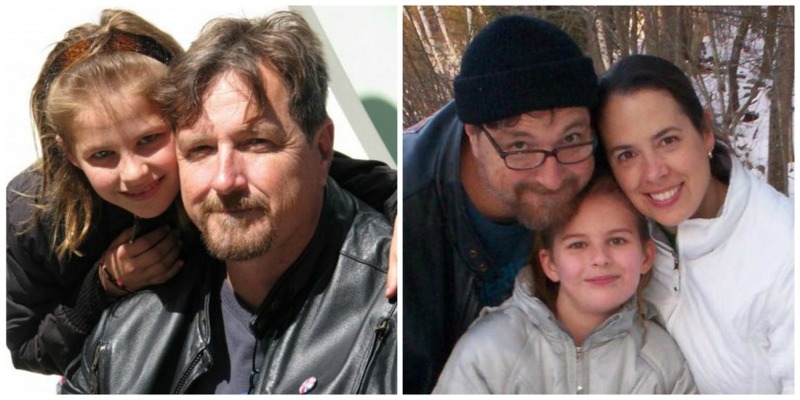 The options were few and the stakes were huge, but the choice was clear for Austin’s parents. With their 4-year-old son months away from death, they had to choose hope – hope in the form of a clinical trial testing a promising gene therapy called Kymriah. 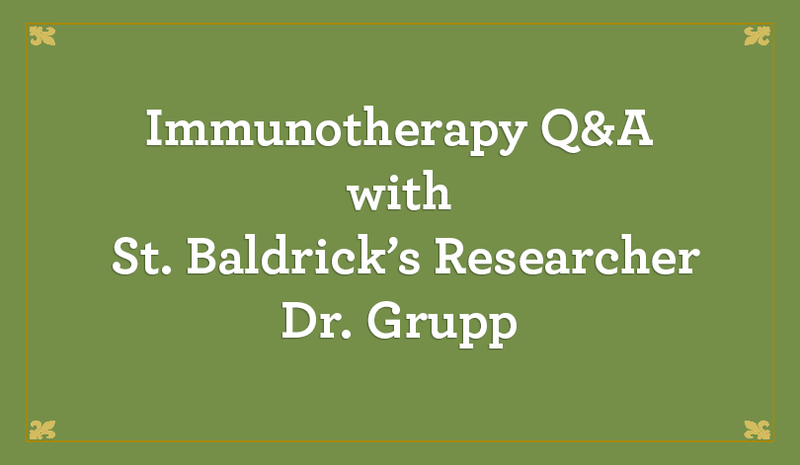 Last week, in the pages of the medical journal Cancer Cell, St. Baldrick’s researchers announced a discovery that could radically transform treatment for kids with neuroblastoma – a new immunotherapy drug candidate that harnesses the immune system to fight cancer. 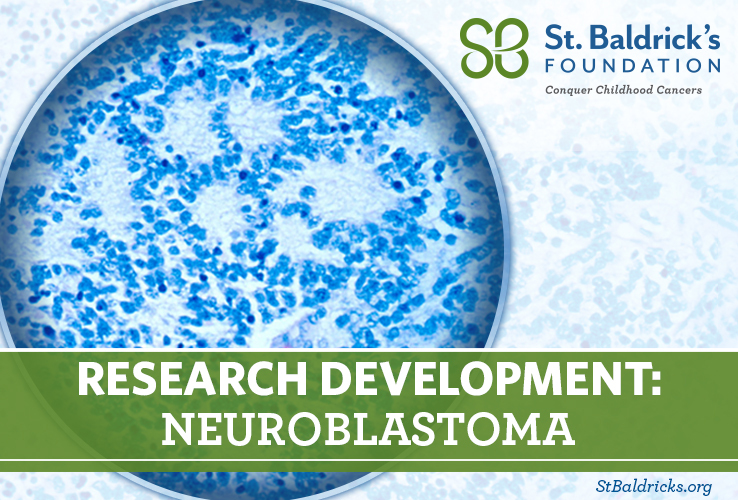 Neuroblastoma is a cancer that begins in the nerve tissue outside the brain, usually in a child’s abdomen. 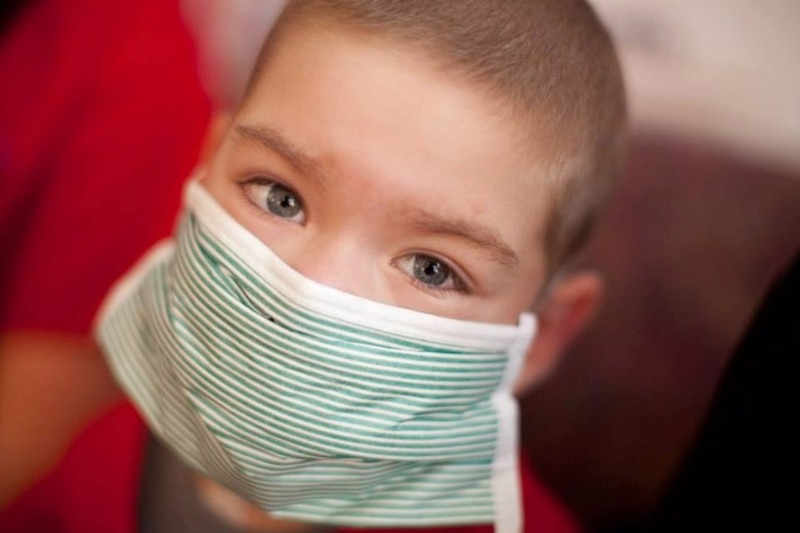 It strikes very young children, up to about age 7, and is the most common cancer diagnosed in infants. Only about 50% of patients survive the high-risk form of neuroblastoma. All of this makes this new targeted immunotherapy for neuroblastoma especially good news, but it gets even better.